This book has achieved high acclaim in France. This work begins after the murder of the children then delves back into the lives of the nanny and the parents to see what led to the events. This does not read as a translation so all praise to Sam Taylor for a wonderful job in this respect. Moreover the narrative by Finty Williams was superb. This is seriously far from a thriller It is a well written social commentary of day to day events in the life of a family. The first half of the book shows how Myriam and Paul are happy to use and abuse their nanny. While telling themselves they are being kind to her they patronise and demean her. Myriam and Paul’s characters are not developed and they move in and out of the story without the reader having much insight into them. This is the same for other characters in the book. I felt this was written by someone far removed from the story I never felt Louise was alive in the story. It is difficult to see why the parents did not see some of Louise’s behaviours as concerning but then they are focused on their own lives their work and Louise keeps the home and children ordered so they accept it. An example of this is bite marks Myriam discovers on her young son which is explained away by Louise the nanny and the mother just accepts it. Overall I just felt extremely frustrated by this book as follows. The ending was just flat with no satisfaction at all. There are elements of this book which could not happen in real life despite its basis on a similar real life case in the USA in 2012. When the supposed killer is in a coma the state will arrest her but then procedures stop until and unless the accused recovers. No investigation witness interrogation, Judge, trial can occur as the person accused of murder is not there present to defend herself. Yet all this is presented to the reader as what happened in this case. Secondly are there no data protection laws in France? How is it possible for authorities to write to the employer of the nanny disclosing her financial irregularities without her consent? Then when given that information Myriam who is a solicitor did not tell Louise that she does not have to legally accept her husband’s debt which is the reason for her debt in the first place? Personally it just left me confused and perplexed. 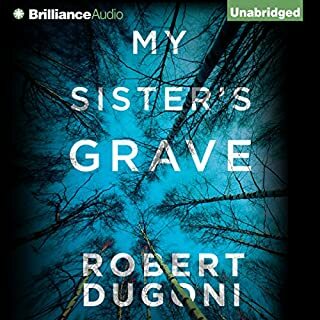 I could not recommend it and will return it to Audible. Picked this up as on Richard and Judy bookclub recommendation. Narrative was helpful to story. A debut by this author and what a read it was. Based on the true life of Matthew Hopkins a Witchfinder in Essex in the 1640's. 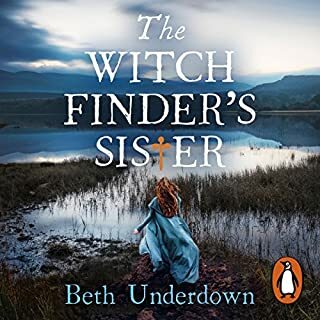 The author adds fiction into the mix including that of his sister Alice with the story being told from her perspective. The times and story are so dark and scary in parts. Alice has a trying time to live and survive as a woman under the patronage of her younger brother Matthew. Alice has returned home following the sudden death of her husband leaving her penniless. Brother Matthew holds all the cards of money home and Alice is dependent on him. Matthew climbs up the societal scale, with compromised mental health and psychotic leanings. He is even more dangerous in that he is believed and encouraged with none of his behaviours challenged or curtailed. The female 'witch' accused victims are not without intellect which they use to fight for their own and their loved ones lives. Matthew Hopkins creates a culture of fear and recriminations where others are prepared to lend their voices to his madness saying their fellow town folk are witches. Alice is far from perfect but a likeable character whose story is interesting. When Alice arrives back at Matthew's home she is pregnant making her more vulnerable. She is fully aware of what Matthew is doing, but due to her personal circumstances she is forced to stick with him. She tries to help these women where she can. The reader sees Matthew sinking lower and lower in his treatment of Alice. The ending though was wonderful. I so enjoyed this book and would highly recommend it. 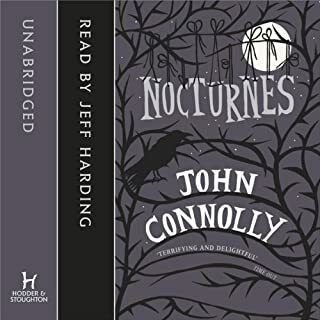 Take his hand and follow him into the darkness....John Connolly, bestselling author of five brilliantly scary mystery novels, now turns his pen to the short story to give us a dozen chilling tales of the supernatural. In this macabre collection, echoing masters of the genre from M R James to Stephen King, Connolly delves into our darkest fears - lost lovers, missing children, subterranean creatures and predatory demons. This is a collection of short horror stories plus two novellas one of which featuring 'Charlie Parker' called ‘The Reflecting Eye’. A departure from the 'Charlie Parker’ series for John Connolly. The shining light in this is the superb narrative by Jeff Harding as usual. As a fan of the ‘Charlie Parker’ series I wanted to read this Parker novella as the ‘Collector’ makes first appearance here. The first story ‘The Cancer Cowboy Rides’ was beyond poor and really had it not been for the Charlie Parker novella I would have stopped there. For a short story to work really interesting characters must shine through plus a gripping plot and perhaps a good twist. This is so difficult to do with few words and Connolly certainly did not achieve anywhere near this with poor short stories suitable for a junior school English homework task. If interesting plots characters or surprises are wished for don’t read here. The Charlie Parker novella is ok but does not aid the story of Parker Lewis Angel or The Collector. Not in any way recommended. I have never heard of this author before and chose book as recommended by Richard and Judy bookclub. The author read this which I think is always a mistake and a professional narrative would have enhanced it. One in Four people suffer with a mental health issue and its often forgotten that without mental health there is no health. Thus it is can only be positive that mental health is now in the media glare with the Royal Family ‘Heads Together’ campaign. This talks in honest detail of what suffering with mental ill health feels like up close and personal. 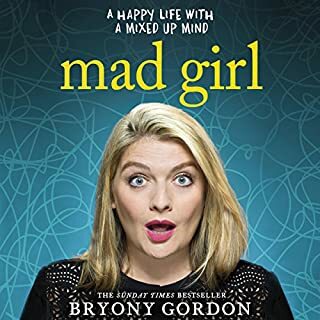 I admire and commend Bryony Gordon’s tenacity to share her experiences ‘warts and all’. I read it in one sitting and now think that was a mistake. I would recommend reading it in short segments with other life being lived in between. I personally found it extremely overwhelming, manic and full on and felt like I needed to be in a sound proof no action room for a month after it. A beautiful, funny and surprising story of autism, family and love, perfect for fans of The Rosie Project, David Nicholls' Us and Nick Hornby's About a Boy. Life is built on the little things.... Eight year-old Sam has always been different - beautiful, surprising and autistic. For all he loves his family, dad Alex has always struggled to connect with Sam, and the strain has pushed Alex's marriage with Jody to the edge. I had never heard of this author and chose this as on Richard and Judy bookclub. 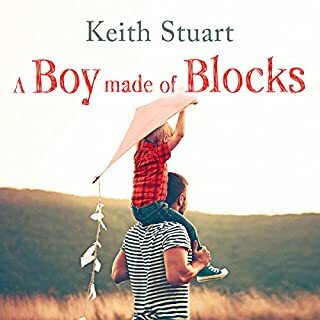 Keith Stuart has a son diagnosed on the Autistic Spectrum in 2012. This is his debut novel. I felt the narrative was good. This is a fictitious tale of a family with a child on the spectrum based on his experiences. Alex the father has virtually no relationship with his autistic son. This causes severe disharmony within his marriage to Jody and he leaves the family home. I found it hard to warm to the character of Alex as I felt he was somewhat lacking in any emotional connection to anyone. This made his relationships feel directionless. Maybe this was because of his past life experience with his brother’s death. Having worked with children on the spectrum I felt Sam was represented well with his autism simply explained. I thought there were too many characters and it felt so ‘full on’. There were other sub plots but the above were the main ones. I think it would have been better if less was going on so the focus could have been on Sam and his autism. In my opinion it started off well with autism as its focus and then merged into a version of Jojo Moyes ‘Me before you’. I felt the narrative was excellent and really aided the story. I have wanted to read this for some time. I could not watch the film as Nicholas Cage is in it and I would never watch him. This novel won the Commonwealth Writers Prize of 1995. The life of Pelagia is followed for sixty years of her life. The early chapters do drag a bit but once it got going I was hooked. The characters despite flaws were very personable and appealing. Both homo and hetrosexual love is shown. 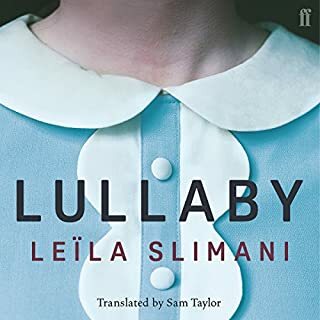 The story begins with World War II finding Pelagia with her father a doctor on the Greek island of Cephalonia as it is drawn into war. Pelagia is physically attractive possessing a keen intellect. She thinks herself in love with an illiterate Greek fisherman Mandras who goes to war vowing to return and marry Pelagia. The island is ‘taken’ by the Italian army. The Captain Antonio Corelli comes to live in their home. 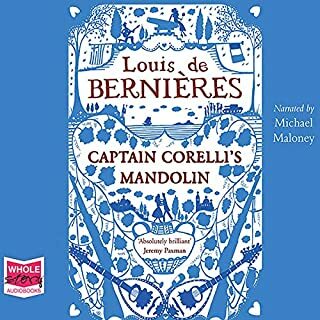 Corelli is a player of the Mandolin and once responds to ‘Heil Hitler’ with ‘Heil Puccini’. Rather than fighting war Corelli sets up a singing group meeting in the toilets. In time Mandras returns from war finding Pelagia and Corelli in love. The author describes the political landscape of the time linking it to Pelagia her father and the people of the Greek island. The horrors of German revenge on the Italians is laid bare. This is such a lovely beautiful read and gave me a feel good feeling. It shows how love can survive and grow to something deeper over time. The conclusion was quite wonderful and I was sad to say goodbye. I would highly recommend it. This book focuses on Hope who is forgotten by all who meet her as soon as she cannot be seen. This is a wonderful take on life and I found it interesting to consider. At the start of the book we learn that from her teenage years Hope Arden is ‘forgotten’ by her family acquaintances and everyone else. As a result Hope ventures off alone excelling as a thief. Hope makes contact with a rich beautiful woman using the phone App ‘Perfection’. 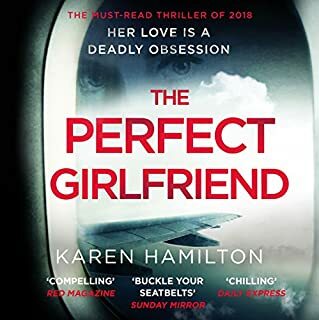 When the woman dies in mysterious circumstances Hope is determined to close down ‘Perfection’ in retribution. ‘Perfection’ is an app telling its followers what to do eat where to go. Points are given when the instructions are followed. Its very difficult to take in that as soon as someone looses sight of Hope they have no knowledge of ever seeing her. I would definitely look out for next book by this author and would recommend it. I have had this on my reading list for sometime and friends have have loved it. This is my first read by this author. I felt the narrative was excellent and aided the story. 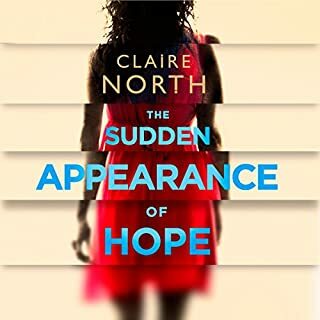 Claire North is a pen name for Catherine Web. Harry August’s mother was raped with Harry the result. He was born in a railway station in the 1920’s. He grew up without knowledge of his father and served his country in World War II. As an old man he dies of bone cancer but that is not the end of him. He is born again in the same place, time and circumstances. However all knowledge of his past life comes to him as a toddler. It is similar to the premise of ‘Life after Life’ by ‘Kate Atkinson’. The going back also reminds me somewhat of ‘Stephen King’ ’11.22.63’ which is one of my favourite books of all time. Reading this I could imagine how with this knowledge a person could make changes to affect future life or erase something from the past. Equally someone could be warned of world disasters and which to change for the greater good. The premise of this is ‘the stuff of dreams’ and really holds the reader. Harry has hurdles to cross along the way. Telling one wife of his reincarnations sees him ending up in a lunatic asylum! There are some scenes of forced drug compliance against Harry’s wishes for example but this is short lived and did not disturb me in any case. A club of Ourobarans exists whose aims include the facilitation of message transference backwards and forwards in time and this is so unique to think of. This has the capacity to change world history from before its inception or that of the people who made it. 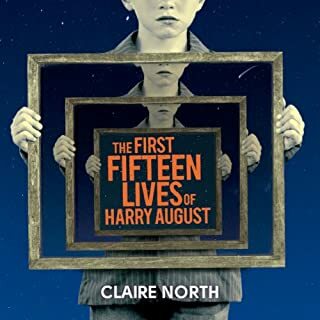 It is interesting to see what Harry choses to do with his different lives yet his ultimate demise is unchanged. I found the ‘baddie’ terrifying in the extreme and ‘root’ for Harry to overcome and save others. I really enjoyed this and would recommend it. This is my first read by this author. I felt the narrative was middle of the road. The story with its title is clear to the reader even before reading the first page. I just found the whole thing so boring and was going through the motions with it as I hoped it would get better. I had no interest in the characters and the courtroom scenes from the end of the book was the final nail in the coffin. I would think very carefully before picking up another by this author and could not recommend. Thankfully I can return to Audible with their excellent return policy.